What do you get the man who has everything!? When hubby and I first got together, we hardly had anything. No money, no cars, no house, hardly any nice clothes. We really were just starting out. It was nice in a way to come into a relationship where we were on an equal footing as I see people having to give up their own house and move into their partner's house and see how they struggle with it. Eight years on, we have been through many birthdays, Christmases and anniversaries together, and I am honestly starting to run out of ideas of what to buy for him. It is actually starting to get to the stage where we are "rebuying" stuff that we have already bought because they are worn out. That is scary as it means we have been together a really long time! A few years ago I bought hubby, what I considered at the time to be quite an expensive watch. It was probably about £100 and we had only been going out about six months, but I wanted to get him something really special. These days we've upped our game and recently hubby actually bought me a watch for no reason at all (he called it a "push" present) which was a ludicrous amount of money. 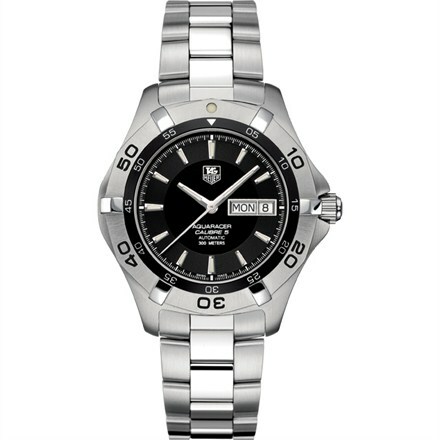 So this Christmas, I want to get hubby a watch, not an over the top expensive one like mine was, but just something special without causing us to sell a kidney or something. I've spotted this ToyWatch by Van Mildert and at £311 I think is a bit of a bargain, just the right price for something a bit special. 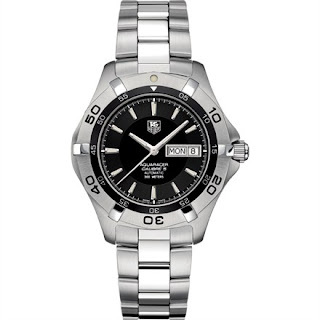 If I'm honest though, probably hubby's choice would be something by Tagheur, something like this at £1116.50, OUCH! 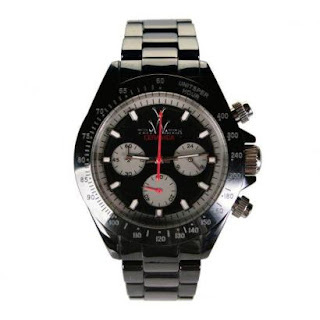 How much do you think is a reasonable amount to spend on a watch?! It is a lot to spend on a watch but you can justify it by saying that it should last for years and will also be great to pass on to the boys. I fondly remember the days when my husband got me and Omega watch for Christmas. Now I get sillicone bakeware and granny nighties! BTW what is a "push" present? Emma, you need a push present. It is something you get when you have "pushed" a baby out! Well deserved I say! So funny just been looking at watches for myself recently-can't decide between a DKNY or Michael Kors watch-no more than 200 I'm thinking. Maybe I'll get a second hand rolex one day but after an engagement ring upgrade and an eternity ring post 2nd child, it def won't be this Christmas. So which watch you getting your man? I do prefer the second one but double ouch on the price tag! Now he's on about Raymond Weil! Argh! I love my new EasyWalker June! Christmas Party Season for Petite Ladies!